You’ll spend more time writing, less time formatting‚ and communicate more effectively than ever with Microsoft Word Templates from Inkd. We've got a vast range of styles and products to choose from including postcards, newsletters, brochures, business cards and more. 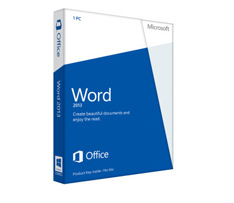 Inkd offers most templates in the Microsoft Office Word format. Microsoft Word is the world’s most popular application for developing flyers, newsletters, brochures, business cards and letterheads. Microsoft Word templates from Inkd help information workers create professional-looking content more quickly than ever before. With a host of new tools, you can quickly construct documents from Inkd marketing templates to include your own edits and customization. Once you're done, your design is ready for print! Need a professional flyer, newsletter or brochure fast? You could spend thousands of dollars to hire a designer to develop professional graphic designs for your marketing or business initiative. Inkd has taken Word to new levels by offering our professional graphic designs in the application that everyone knows how to use. Every aspecct of Inkd’s graphic design templates are fully editable so you’ll look like a pro without the need to learn difficult graphics programs.